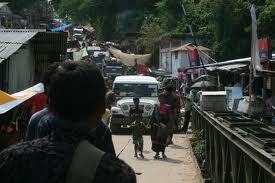 Aizawl, May 2 : Mizoram government's Core Committee on Bru refugee repatriation today tentatively set May last week as the date for their resumption, who are lodged in the relief camps in neighbouring North Tripura district. The decision was taken at a Core Committee meeting held under the chairmanship of Parliamentary Secretary for Home Lalrinmawia Ralte. Ralte told PTI that the detailed programme and arrangement would be made by the district administration of the Mizoram-Tripura border Mamit district. "The Union Home Ministry expressed the desire that the repatriation process be implemented by coordinating with the Tripura government and the Mizoram government officials led by Joint Secretary for Home Lalbiakzama would be meeting with the Tripura home department officials during the first week of May," he said. When asked whether the refugees would now be willing to return to Mizoram and the anti-repatriation elements would refrain from obstructing the repatriation process, Ralte expressed the hope that all the refugees would now be willing to return to Mizoram. He said that the refugees would be encouraged to return to Mizoram on their own while the facilitation camps would be upgraded and improved to ensure that those who returned would be properly identified and that they were bonafide residents of the state.